Have you ever seen a small pixel in your Pulsar Thermal optic’s screen that you wish wouldn’t stick out like a sore thumb? If you fire your gun a lot these pixels-that-need-repair occasionally occur, but fear not, Pulsar has anticipated this and provided a way to resolve it. I had one on my screen for a few months before I investigated it and the good news is that it’s simple to correct! What is a “Defective Pixel”? A “defective pixel” is a pixel within your viewfinder or screen that is “degraded”, sticks out, and won’t go away even after your scope calibrates. I’ve owned a Pulsar Trail XP-50 for over 2 years and in this time, I’ve only had 2 defective pixels. Though, when it does happen, over time it will bother you enough to want to know how to fix it. In this screenshot, the defective pixel may not seem like a big deal, but when you’re hunting and looking through the viewfinder it can become distracting to your eye over time, especially if it’s near the crosshairs. While hunting with the defective pixel shown in the screenshot above there were several times I panned the horizon and mistook the small white dot for being an animal that was a great distance out. The first thing to do if you notice a defective pixel or something that doesn’t look correct in your viewfinder is to calibrate the optic. If you haven’t changed any settings on your scope then your Pulsar thermal optic will automatically calibrate every so often to ensure what you’re seeing is accurate, clear, and crisp. Calibrating the optic makes the clicking sound that you may have grown accustomed to hearing by now if you own a thermal optic. These calibrations can be forced by pressing the power button in the Trail models. If my screen ever gets hazy or I notice something not sharp in the viewfinder I simply calibrate the scope. With all that said, the first thing to do if you notice a defective pixel is to force a calibration because generally that will fix it. If calibrating the optic doesn’t resolve the issue then repair the defective pixel by going to one of the last menu options in the menu system, the “Defective Pixel Repair” option. Once you choose this option it’s simple. The system presents you with a pixel selector and provides you with the ability to move the X & Y coordinates. This task feels very similar to sighting in the scope. Just move the X & Y coordinates until you are right on top of the defective pixel. As you update the values for the X & Y coordinates the pixel selector will move across the screen as shown below. The pixel selector surrounded by the box is like the Picture-In-Picture feature and is a magnified (zoomed in) version of the pixel selector. The goal is to move the defective pixel selector on top of (or as close as possible to being on top of) the defective pixel. Once you have the defective pixel lined up you then need to hit the record button, yes, the record button. The system will repair the pixel and respond with an “OK” message. And that’s all there is to it! Note that depending on your unique situation, it may take repairing multiple pixels to get the screen back to the desired state. In one of the previous defective pixel scenarios, I had to repair 2 pixels before it was back clear, and the pixel was no longer bothering me. I hope you found this content helpful. If so, leave me a comment below. A thermal monocular offers several benefits, some of which you may not initially consider. After having used a thermal monocular for over 2 years, I’d like to share some of the ways I use it to get an edge in the field and some ways you may not have thought about using a thermal monocular before. A thermal monocular offers several benefits some of which may not initially obvious. After having used a thermal monocular for over 2 years, I’d like to share some of the ways I use this recent technology to get an edge in the field and beyond and some ways you may not have thought about using a thermal monocular before. One of the first benefits I realized a thermal monocular brought was that it provides me the ability to enter and exit the woods without spooking any deer. That is, when I start out to my stand I scan with my monocular. When approaching the stand if I see any deer on the corn pile I simply stop and lean on a tree or sit on the ground until they leave. Without this ability to see into the dark I wouldn’t have a clue that deer were anywhere around, and I’d be climbing in my stand only to hear the deer blowing and running off – that doesn’t happen to me anymore. Likewise, when the sun sets, I always scan before exiting the stand. There have been plenty nights where I sat in the dark for 10 or 15 minutes until a deer exited my area. Deer are no longer aware of my location simply because I was making noise in the dark and didn’t know they were close by. This is solely because of the thermal monocular giving me vision where I previously didn’t have it. The thermal monocular also comes in very handy when trailing or tracking a deer. If you’ve ever shot a deer right at dark, you know that it can sometimes be challenging to track them. If you made a good shot, then the thermal monocular will likely save you some time. Yes, you should get on the blood trail as you normally would, but also use the thermal monocular to scan the general direction the deer ran in and you may be surprised at how much more efficient your tracking becomes. I’ve got friends who call me to come help them track deer simply because they know I’ve got a thermal monocular. Turkey hunting is also one of my favorite things to do. There’s nothing better than watching a big gobbler strut and there’s nothing more depressing than not being able to locate any birds. If you know the general area where turkeys are roosting, then a thermal monocular may provide you with an edge in this scenario as well. Now days I always take the thermal monocular with me when we go in before dark. I scan the tree tops to see if I can see any turkeys roosting. Admittedly, turkeys are a little more difficult to pinpoint because their heads are usually the only part that shows a sharply contrasting heat signature and during the spring the trees provide them with more cover. Though, the thermal monocular still provides the opportunity to spot them. This again gives me an edge and as you would imagine we take it and use it as much as possible. Locating birds is half the battle and a thermal monocular can help you locate them more easily. The most obvious time when we use the thermal monocular is for coyote and hog hunting at night. We set our guns on tripods and use the monocular for scanning and locating. As soon as we locate then the game we get into the scopes. If you don’t have a scanning monocular you will quickly learn that it saves your back big time because you don’t have to constantly be hunched over scanning in circles in the scope. Also, the monocular is safer to scan with. That is, if we are spinning circles with our guns, we are pointing the guns in all directions which inevitably become close to other hunters and that’s not a good thing. Since the monocular is obviously not attached to a gun it’s the safest route for detecting game. Want to see footage from thermal monoculars & scopes? For you rabbit hunters, I know it’s all about the dogs but if you want to easily see rabbits that are hiding in the edge of briar patches there’s no better way than with a thermal monocular. We constantly see rabbits in the edge of brush, in straw, and alongside fields while hog and coyote hunting. Want to get your dogs pointed in the right direction… try a thermal monocular. Something I noticed while looking at all kinds of things with my thermal monocular is that I can use it for surveillance if needed. If a group of cars is parked around a house, I can easily tell which cars have been there the longest (they are cooler) and which ones have just arrived (they are hotter). If you ever have out-of-place individuals lurking in the shadows they are easily picked out with a thermal monocular. There’s not much hide and seek when it comes to thermal technologies. The only area this isn’t 100% effective is in scenarios where there are windows. Thermal detection doesn’t work through glass, other than that it’s awesome to use to see into the night and get whatever info or recon you need. One of my friends is a home inspector. Sometimes he’s looking for locations where hot or cool air may be escaping a house. A thermal monocular is a great tool for this type of scenario. Imagine an HVAC system that wasn’t installed correctly or if a pipe was leaking. A thermal monocular is a great tool in these scenarios. Also, one can easily spot the hottest or coldest parts of any machine that could be “running hot”. Wherever temperature matters a thermal monocular could potentially be useful. Wondering which device you should use is a common question. After all, these devices are not cheap and as such these are decisions that shouldn’t be made lightly. Since the purpose of this blog is to provide insight into ways one can use a thermal monocular, I’m not going to compare all the options out there. A simple Google search will show you the brand leaders and products on the market. I’ll simply say that I am on the Pulsar Pro-Staff and I use Pulsar products. I’m a fan of the Pulsar Helion XP-50 and it’s what we use on all our hunts. Pulsar recently announced the “Axion” line of monoculars as well. I encourage you to do research and go with the device and manufacturer that is the best tool for your job. We are excited to announce that two of our WeHuntSC.com members are now Pulsar Pro-Staff members. 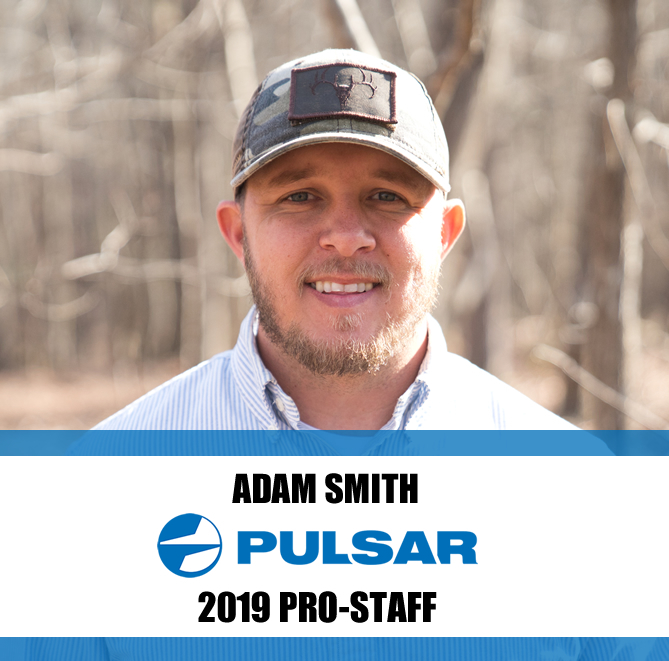 Adam Smith and I were recently selected to the Pro-Staff team and we are excited to see what 2019 has in store. As you may have seen in our posts, our team has been doing a lot of night hunting lately and we use Pulsar scopes on our setups. We’ve been putting a lot of time into the images and videos we share from the hunts and Pulsar has recognized. 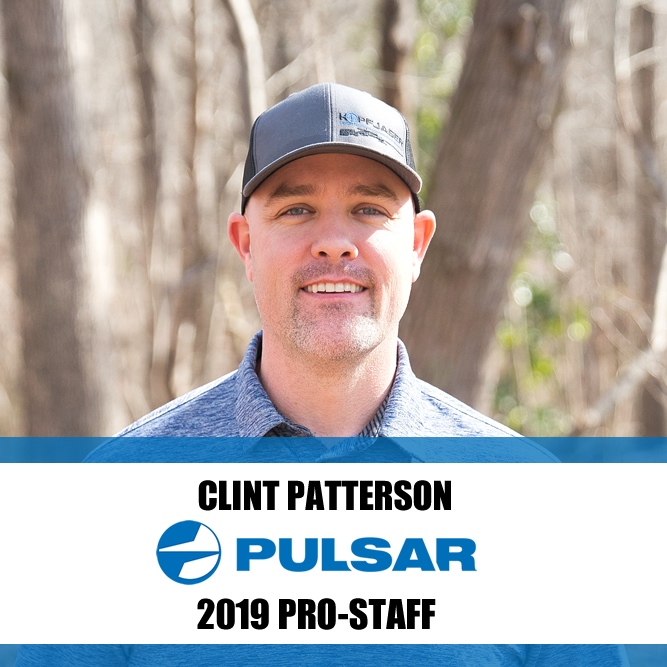 Adam and I look forward to learning more about Pulsar’s vision for the future of night hunting, thermal optics, and to learning more about Pulsar products. If you are interested in Pulsar’s products and/or want to know more about our setups feel free to reach out. We’ve hunted in the WeHuntSC.com Predator Challenge for 7 years. We’ve hunted hard and have yielded minimal results other than being frustrated. Lately we’ve heard a lot of people telling us how effective they have been with hunting coyotes with night vision. This year we aimed to reduce frustration and get more coyotes on the ground by upgrading to a night vision setup. This journey would lead to many lessons learned, which I’ll share in the below blog entry. After doing some research it seems most hunters are using AR’s for their choice of weapon when coyote hunting. The AR model frees hunters from having to manually chamber another shell as this is done by the gun. This allows more rapid fire at targets which is beneficial when hoping to shoot multiple coyotes … if you can get multiple to come in. I’d recently heard about Anderson Arms having a unique AR setup. Anderson uses a nanotechnology called RF-85 on their guns that makes it to where you never have to oil the gun. It’s pretty sweet technology. I went with the Anderson Arms AM15 optic ready. If you haven’t checked it out, head on over to https://www.andersonrifles.com. With the gun selection done it was time to move on to the scope. This meant I had to learn about night vision. It seems in the night vision world there are 2 routes one can go – infrared or thermal. I’m sure you can get into religious debates about the advantages & disadvantages of each, but in the end I chose thermal. Once I decided on thermal I needed to pick out a brand. I had previously purchased a FLIR monocular for spotting scope which I use for tracking wounded animals and ensuring I’m not spooking deer on my way in or out of the woods. It’s very handy, but not very clear. I wanted to try a different brand to see if it was any different. PULSAR seemed to be a popular brand based on the research I had done. I ended up going with the PULSAR Apex XD38. I worked with the crew at Reel Determined Outdoors to get this rig set up. If you haven’t checked out Reel Determined or the team up there you should give them a shout. One initial note about night-vision gear. I was surprised at how expensive these technologies are so if you’re looking for a cheap night vision solution get ready to be surprised. However, I can tell you that once you use a night vision setup for coyotes you will never go back. With the gun in hand and scope mounted on it we were ready to venture into the world of thermal night vision. Before we got to shoot at any coyotes however, we needed to sight it in. This is where we really started learning some stuff. When you take a thermal scope out and look at a target you don’t see the lines on the target. This is because the scope is responding to heat signatures and, as you would imagine, the lines on the target aren’t putting out any heat. Yes, this would seem obvious, but to some rookies we didn’t think ahead about this too much. On our first attempts at sighting this thing in we ended up cutting the center of the target out and putting up some tin foil as the tin foil maintained different temperatures and we could *vaguely see the contrast in the scope. It was all we needed to get excited and get started though. Once inside the scope I realized that we’d have to learn the menu systems inside of the PULSAR scope. At first sight it was a little overwhelming because I had no idea what all the icons represented. Yes there is a book that comes with it explaining it and yes we didn’t really read it before getting started! In retrospect the best thing I did was watch some YouTube videos of people talking through the menu items. The menus are not difficult to understand I was just in initial shock of trying to understand them all. The icons make sense and there are 2 menus inside of the software. Yes, software… the thermal scope is essentially a computer system on your gun that’s giving you a screen with information on it and view into the dark. As such, it does require some time to boot up when you press the on button. The thing that is important to understand about the menu is that you zero the sights in in the menu, that it can hold “sight-ins” for 3 different weapons, and there is a reset button. Sometimes I got lost in the menus and didn’t know what I was clicking and changed the weapon number and even clicked reset. This did indeed make for a frustrating time sighting in the weapon. Once I learned what buttons not to click things got easier. Gavin and I ended up sighting this gun in about 3 or 4 times as we learned more, messed things up, saw that our scope wasn’t tight on the gun, and figured out the menu items. Once you understand how it works sighting it in is fairly easy. Another trick that made sense was to use hot-hands hands on the middle of your target. If you want to go the extra mile, soak a pizza pan in ice-water and then put it behind the hot-hands on the target. This creates a cool circle encompassing a hot center, which in the scope creates a good contrast for you to aim at. After several times out with the gun and sighting it in we finally started hitting the target where we wanted to… in the bullseye. One neat thing about digital night vision is the ability to record the footage from inside your scope. Since it’s a computer, why not right? PULSAR has different models and with the more recent models the video recording capabilities are getting even better and more user friendly. Our experience with the video recorder left some to be desired and required some learning on our behalf. The video recorder for the model scope I have is the CVR 640 and it mounts on the weaver/picatinny rail… that is it can be attached to anywhere you see the grooved sections on the gun. In my scenario this meant I could attach the recorder on the side of the scope or on the front of the gun. I initially attached it on the front of the gun because this made ergonomic sense. The recorder holds an SD card and you simply pop the SD card out to download the footage. The recorder plugs into the base of the scope and screws in tightly. The odd thing about this is that your gun literally has cables running down & around it (however you handle your cable management that is). I was very excited to video all the coyotes we would be busting in the near future! Sure enough it wasn’t long before we had coyotes in the scope and started pulling triggers. The first time I was sure that I was recording when I shot. I looked at the video box and noticed the blue light wasn’t on anymore. How terrible luck was it for the batteries to die right before the shot! So I got new batteries. A few hunts later the same thing happened. Did I have a bad batch of batteries or what? After 8 live-action shots that were recording, but yet failed to record I had had enough. I’d put in numerous new batteries and nothing worked… I was going to get to the bottom of this. We had some hunts coming up and I left the gun with Gavin during one of our re-sight-in attempts. Gavin and I were both doing research on this issue. Gavin noticed that even though the recorder has a weaver rail and mounts to the gun it was NOT rated for recoil. I told Gavin to remove the video recorder from the gun, put it in his pocket and record himself sighting the gun in and see if the video stopped recording. BINGO! We’d found the culprit. Gavin said the video recorder continued to record during the shots when not attached to the gun. This let us know that the video recorder will record if it wasn’t attached to the gun when shooting. With multiple times to the range figuring out the sighting in process and now with the video issue out of the way we were ready to rock and actually get some footage. We had been bummed about previous footage attempts because we had some great encounters. We were about to change that. Gavin and I were requested to help a local farmer out who has a hog problem. We had indeed gotten hogs on camera at the location and were headed in to assist. When we arrived to the location we went in to the field scanning with the monocular as we walked toward our stand. Gavin saw that hogs were already in the field. So we dropped down to a knee and just watched. Right then a coyote started howling very close to us. To our surprise the coyote howl startled the hogs and they exited the field that they had just entered. I was surprised that hogs would be intimidated by coyotes, but thinking back on it the hogs has some young ones with them and maybe their leaving the field was to protect the young ones. I told Gavin we should go to the area on the other side of the field where there is a deer stand and just be patient. I was sure the hogs would return. We agreed and slowly retreated to the other area of the field. We were just sitting there talking letting time pass when coyotes started howling very loudly again. This time there were more than one howling. We were hog hunting, but we did have the coyote call in the truck. Frustrated at the situation Gavin said “I’m going to the truck to get the call”. After returning back from the truck Gavin set the call up and said “Get in the gun because when I hit this call they are going to come in”. So I did as Gavin instructed and turned the scope on. If you’re wondering why my scope would even be off… night vision and thermal optics flat eat batteries. If you’re going thermal do yourself a favor and order the extended battery pack so that you are not like me and have to carry around packs of batteries in your pockets and constantly replace them. Back to the story... Gavin told me to get in the scope and I did just that. Gavin played some coyote whimpers and a coyote duet, new sounds we’d just downloaded to the FoxPro before leaving. I was scanning left and Gavin was scanning right. We stopped the calls and it was quiet, crisp, and clear out. Nothing responded… no howl backs, no barks, nothing. Then all of a sudden Gavin whispered “There he is” and at that I turned to the right and saw a coyote crossing my face from right to left. I followed this coyote waiting on it to pause so that I could squeeze the trigger. Gavin said “What are you doing turn right turn right”. What we didn’t know until afterwards was that Gavin didn’t see the coyote I saw. He had seen another one, a bigger one, to our right. I told Gavin “Shut up” and he said “There’s a big one here on the right”. I said “Make him stop, say something, bark” and he responded “A big one on the right”. It was not easy to pull the scope off the one I was following and turn right, but I did. What I saw was indeed a larger coyote on our right. I put the crosshairs on him and squeezed off. I could tell from the video that I hit him! I then swiveled back left and got back on the coyote that I had seen earlier. It paused just enough and I dropped it on the spot. It all happened so fast. My heart was pumping and adrenaline was racing, but one thing was for sure. We definitely had the scope sighted in correctly this time. And when I pulled the video recorder out of my pocket it was still recording! We had footage to review! We looked and looked for the first coyote, but could not find it. We think it ran off and died somewhere, but we did recover the second coyote and got some pics. Man it was a fun hunt.